Recently, we announced phase one of Relentless Beats’ inaugural Goldrush Festival. 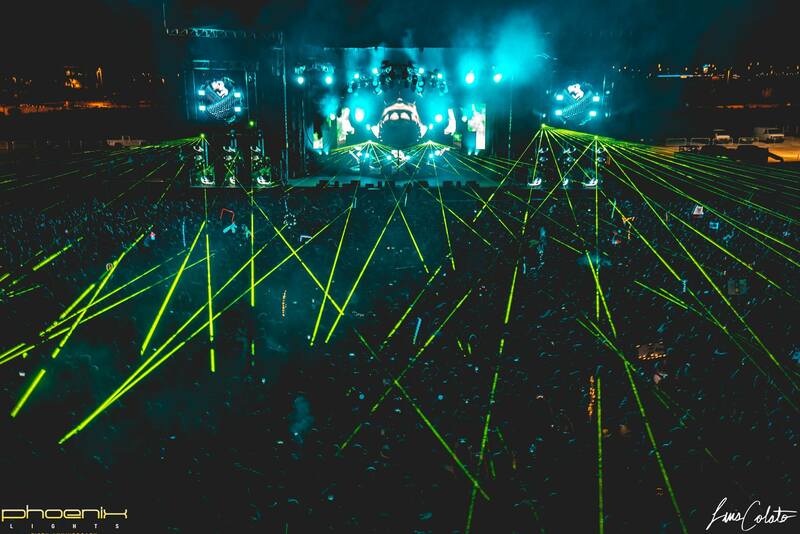 The initial roster contained a stacked mix of electronic and hip-hop acts, with Marshmello, Migos, Dillon Francis, Rezz, Shiba San, and many more. Phase one also revealed a Birdhouse stage takeover and even a special performance from Excision. We’ve been eagerly awaiting the full lineup, and it has officially arrived with an artist-by-day breakdown. Artists such as CamelPhat, Justin Jay, Mikey Lion, Droeloe, and Flatbush Zombies are some of the new additions. Goldrush is delivering the techno on Saturday with a two hour set from the techno queen herself, Nicole Moudaber. The techno does not end there as Bart Skils, HOSH, Jeremy Olander, and Paco Osuna will be making an appearance at the Wild West themed fest. Bassheads will also have something to look forward to as Brillz, G-Buck, Habstrakt, and Party Thieves have joined the roster. Last, but certainly not least, A-Trak and Baauer will be gracing Rawhide Western Town with their first EVER b2b performance. Marshmello; Lil Uzi Vert; RL Grime; Barclay Crenshaw; Bart Skils; Droeloe; Flatbush Zombies; Fransis Derelle; GG Magree; Ghastly; HOSH • Injury Reserve; Jeremy Olander; Judge; Justin Jay; Lil Pump; Lost Kings; Malaa; Mija; Nicole Moudaber; Oona Dahl; Paco Osuna; Rich Chigga; San Holo; Smokepurpp and Ugly God. Goldrush Fest will be held November 18 and 19 at Rawhide Western Town in Chandler, Arizona. Single day and two day passes are available here!